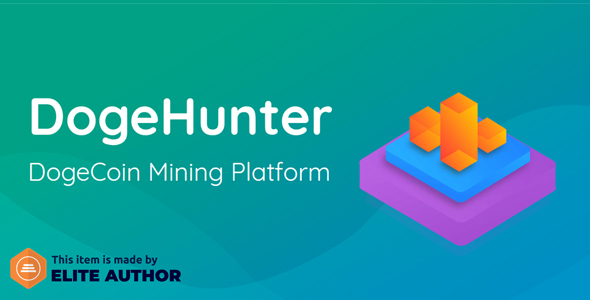 DogeHunter is a Online DogeCoin Mining Platform Developed with PHP Laravel. Script is fully Responsive & Dynamic Included High Secure Admin & User Access. Easy Access via DogeCoin Address, Easy Deposit and Withdraw Facility. Admin Can control full website, plan’s, DH’s prices, Deposit and Payout. DH/S Price & Daily Earning Setup.